The Australian snow season only lasts a few months, so it doesn't take long for it to come and go, you really have to make the most of it. We head to our nearest resort, Perisher in New South Whales. There is so much to do around the area, snowboarding, skiing, hiking, snowshoeing, mountain biking, boating, cross country skiing and chilling in the town of Jindabyne or Thredbo. It really is a winter wonderland and we love every minute of it... Ok I lie, getting up at 2am when its -6 degrees to run from our van to the bathroom is not ideal. But we wouldn't have it any other way. 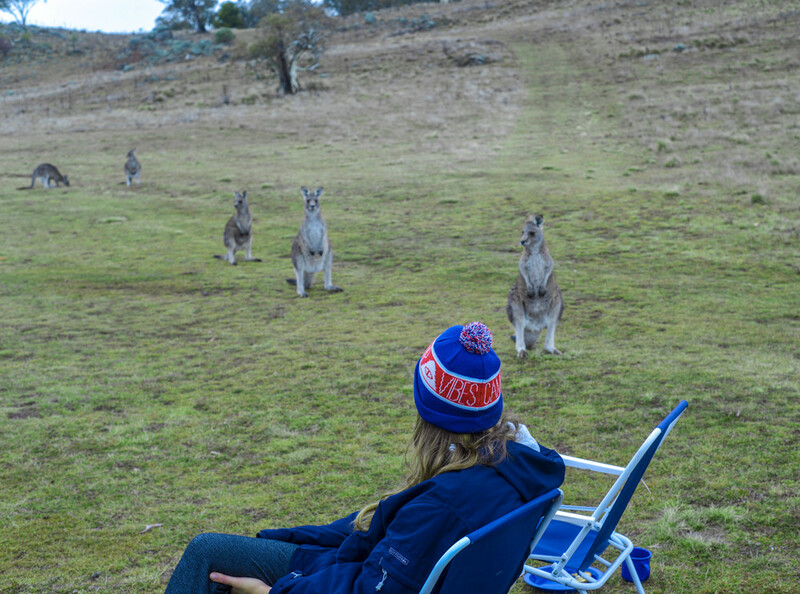 Nothing beats breakfast in the morning with the Kangaroos!